Birding Is Fun! : Springtime in Wisconsin! Here we are, middle of May, the buds are sprouting, the grass is green, and the migrating birds are heading back to the Midwest. 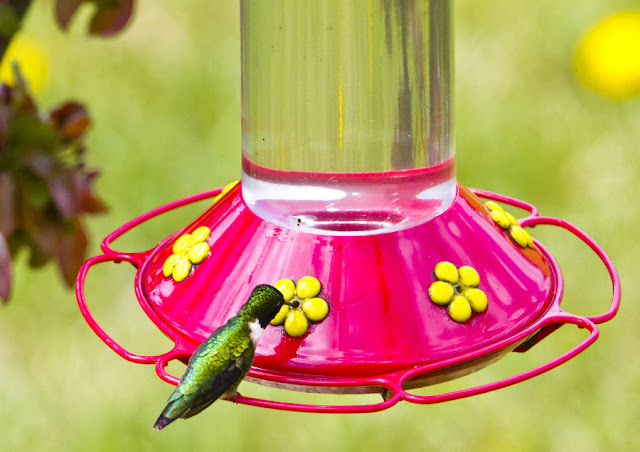 Just this morning I saw the Ruby-Throated Hummingbird drink thirstily at my Hummingbird feeder. The Ruby-Throated Hummingbird, Wisconsin's smallest bird, migrates from Mexico and Central America, usually showing up in this part of the Midwest about the end of April to the beginning of May. 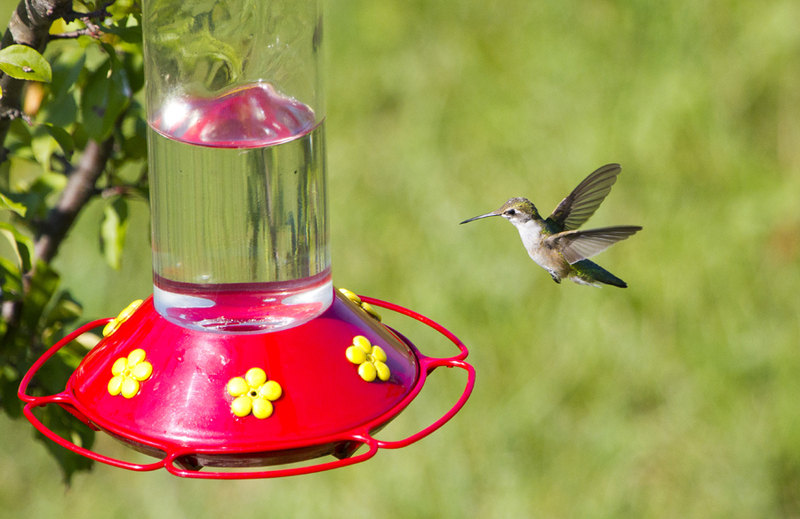 Today, May 12, is the earliest that we have seen it in our backyard. 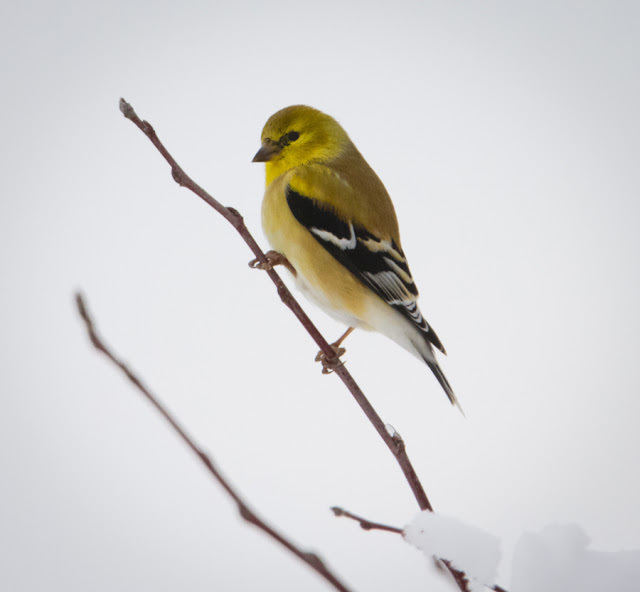 One of my favorite small birds, and a favorite in most Wisconsinites' backyards, the American Gold Finch, is a partial migrator, here in the state. This means you can find some of them in their Winter coats sticking around the feeder all year. 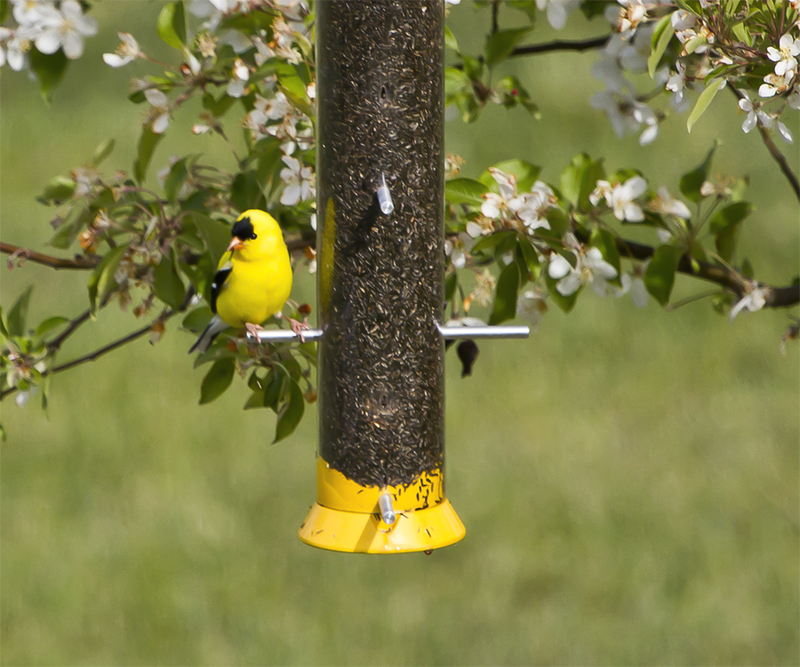 The Gold Finch does migrate, but doesn't migrate as far as some of the other migrating birds, spending its Winters in the deep South, Florida and Southwest USA. 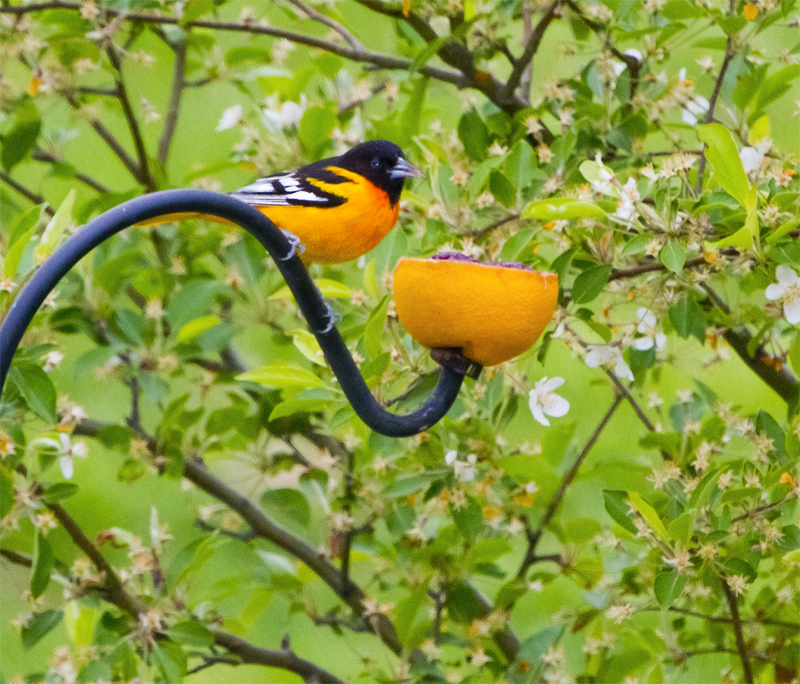 Another favorite backyard bird is the handsome Baltimore Oriole. With its flaming orange color and fantastic songs, the Oriole is one of the last migrators to make its way back to Wisconsin, usually making it to our parts around mid May. 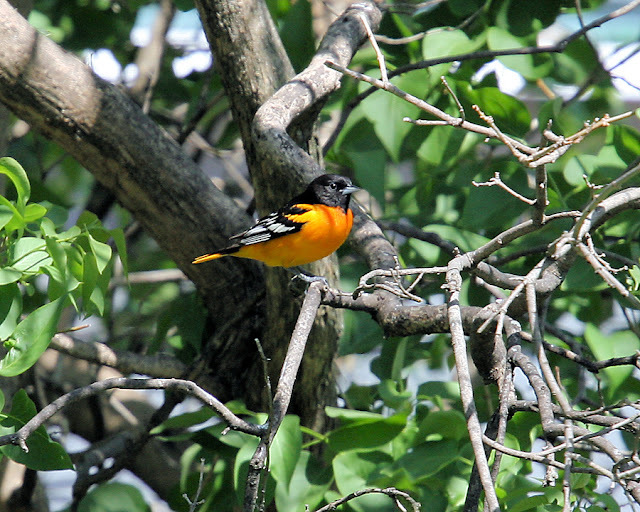 Traveling from Mexico, Central America, and northern parts of South America, the Baltimore is sometimes mistaken for its close cousin the Bullock Oriole. The Baltimore stays around our parts through the month of September. 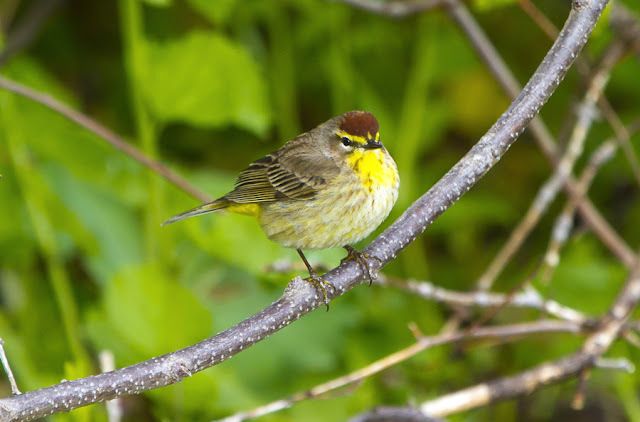 What is Spring without the horde of Warblers heading back to the Midwest? This Palm Warbler showed up down by the Lake Michigan waterfront looking for bugs. 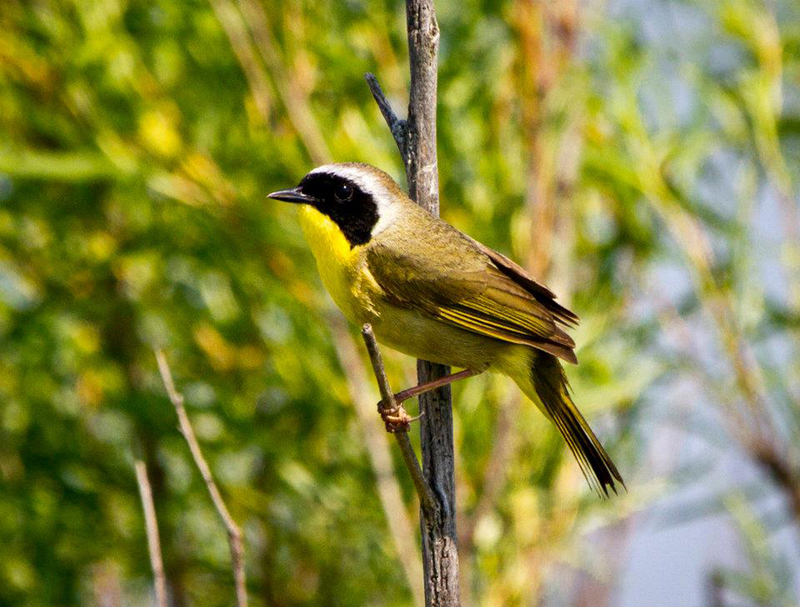 We spotted this handsome Common Yellowthroat Warbler at Horicon Marsh in Central Wisconsin. Horicon is a haven for all sorts of amazing species of Warblers including Yellow-Rumped, Black & White, Cape May, and many, many others. One of the prettiest birds I think in all of Wisconsin is the Great Egret. 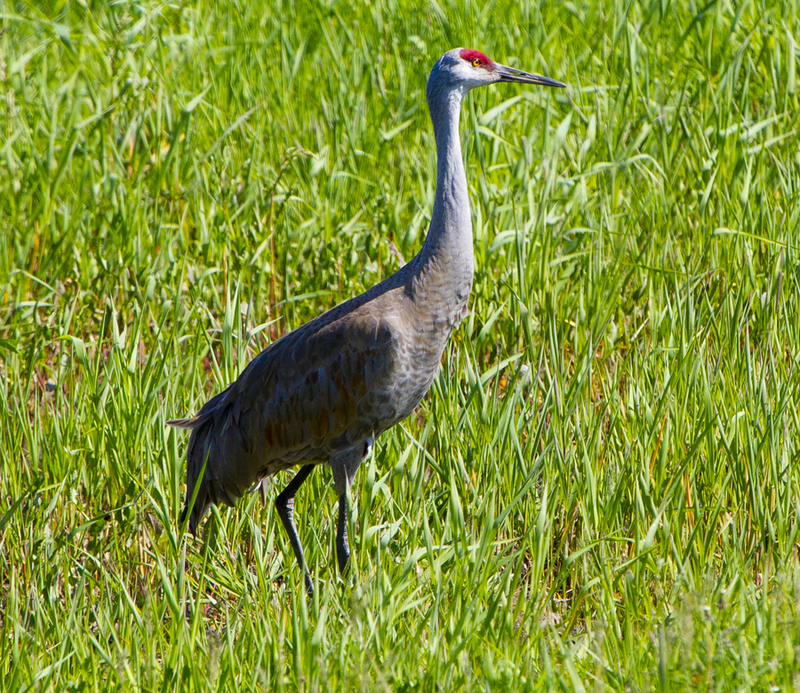 This tall and elegant bird shows up in Wisconsin just about this time of year, early to mid May. You can usually find them in large pools of water in county parks, state parks, and on river banks, slowly stalking around looking for small crustaceans or small fish. The Great Egret, named after the word aigrette, which means "ornamental tufts of plumage" was once hunted almost to extinction in the 1800s, but now are protected under the Migratory Bird Treaty of 1918. 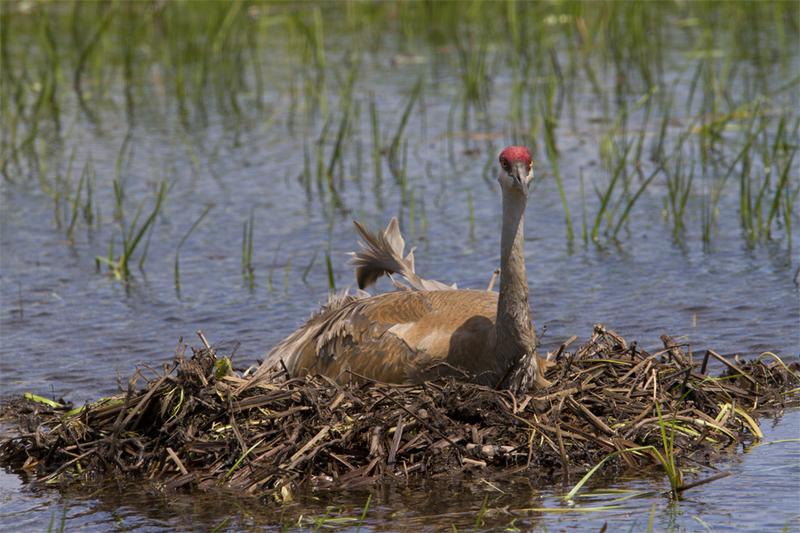 Probably my favorite bird, and one of the more exciting to photograph, the Sandhill Crane, starts showing up here in Southeast Wisconsin about the the middle of April. You can often hear them before you even see them with the familiar "kar-r-r-r-r-o-o-o" call. In the Spring and Summer you can find Sandhills all over, including any small body of water, along the side of a road, like this mother Sandhill, sitting on her nest, only feet from the side of the road. 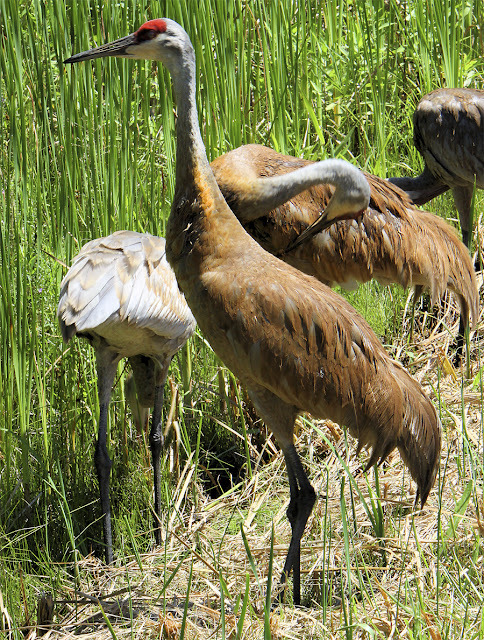 This family of Sandhills was foraging for food just off the highway, feet from the road. This is a very common sight in the Spring and Summer. They are just a delight to watch, and listen to. I've only touched a few great mitigatory birds that come to Wisconsin in the Spring. This it for me, if you are interested in seeing any more of my work please checkout my blog at Ricky L Jones Photography, or on Flickr or Twitter, or Facebook or Google Plus. Take care. Fantastic shots!! You make me want to go home and experience spring migration. I grew up in Two Rivers for 18 years and never once really watched migration. I hope to go back soon and see it all. Your photos are exciting. Plus my Grandma will be excited to see the Ruby-throats and Orioles return! Beautiful photos, Ricky. I can't wait until the Common Yellowthroats return! Thank you Charlotte , I love your blog! Fabulous shots, Ricky! Love the cranes! We see all these beauties in our area (Chicago) too. Terrific post filled with interesting information and stunning photographs!